Welcome to the Hanley Economic Building Society’s Potters ‘Arf Marathon. Thank you and well done to everyone who took part in the 2018 race! 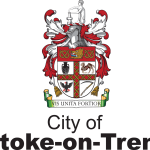 For any further information please email Potters.Arf@stoke.gov.uk or phone 01782 235873.